When considering what fuel to store, the safety of it should be your primary concern. Why store gasoline when you can safely store isopropyl alcohol outside in 55 gallon drums for a lot less money and little risk of combustibility? (You can usually get free delivery of this alcohol too.) A few cans of propane is much safer than gasoline, and so is kerosene if stored in a cool, dry place. Check with your local fire department for maximum storage abilities of these fuels. Keep in mind that if you store kerosene, Home Depot has a program in which they will buy back your old kerosene after you’ve stored it several years. They turn around and sell it to the farmers whose diesel engines will still run on it. To dramatically extend the life of the fuel can, be sure to add a fuel preservative to your gasoline and your kerosene. If you’re planning on surviving off of firewood, be sure that it’s already cut up—for two reasons. One reason is to conserve your physical energy. The last thing you need is to be expending your own energy in the midst of an emergency. Two, be sure that you don’t have to needlessly use dangerous tools when you’re not fully functional, especially those who may not be familiar with the use of such a tool. That’s how tragic accidents occur. What if you are the only one who can chop the wood and you get sick? What will your family do for fuel? Try a task that they aren’t as experienced at as you when they’ve had just as much stress and as little nutrition as you? Definitely not a good idea. Whatever alternatives of fuel you elect to use, be sure you share the wealth of knowledge on how to use those tools. One of the most foolish things I see households do is place the majority of the lifesaving information in the hands of one individual. This is a dangerous supposition that that person will always be around. Every responsible person in the family should know how to use the propane heater, the pressure cooker, and the alcohol lights, etc. When you are considering what tools you’ll use to cook, light, and heat with, consider the cost and accessibility of the fuel the tools will use. Recently my husband and I purchased a small, collapsible Volcano Stove. We have lots of means to cook with if necessary, but the price was only $99 and it was a multi-fueled tool. It will cook off of charcoal, wood, and propane (which also means tightly rolled newspapers, too). That made it very attractive so that we don’t have to rely on just one fuel for our cooking. Another cooking tool we have is a kerosene heater that has a grid on the top so while we’re heating our surroundings (with ventilation, of course), we can also be boiling water, or cooking on the same component. We also have some Joy Cook stoves that are commonly used in Korea. With only one can of butane and my pressure cooker, I have been able to cook three meals a day on my Joy Cook stove for an entire three weeks. Also, consider conserving your fuel as much as possible, especially when you’re cooking. Once you bring a pressure cooker up to high, you can remove it from the heat, turn off your heat source, and wrap the pressure cooker in towels—it will continue to cook for up to an hour. That’s a whole lot of fuel-free cooking. The solar oven is even more fuel-friendly in that regard. If you have sunshine, you have an oven that will cook anything that you can cook in your regular oven, with the exception of frying. Better yet, nothing will scorch or burn in your solar oven and the clean up is also a breeze, thus conserving your own physical energy. This way I’m conserving the majority of my fuel for light and heat instead of just cooking. I use my pressure cooker and my solar oven on a very regular basis so that I’m familiar with it even in the midst of a crisis, and so that it brings comfort to my family and friends. This leads me to my final reminder in this area of preparedness. USE that which you are planning on using to survive a crisis. Use it now when it’s convenient. Don’t buy it and then stash it away until a crisis hits. What if it’s not in working order? What if it’s missing a part? Also, waiting to use something until the crisis hits will only use up more of your vital physical fuel as you expend a lot of it through stress. Remember, prepare in comfort of panic in chaos. For example, if you have a Dutch oven that you’re planning on using in a crisis, great. But be sure you’ve used it enough before a crisis so that you’re comfortable with it. Besides, Dutch oven cooking is yummy. So if you enjoy it now, when it comes time to having to use it, it will feel more like a comfort to your family rather than a science-fiction survival mode. The more you use these items, the more you can truly be prepared because you will notice parts and components that will make your job easier that you may not have thought of previously. For example, I use my pressure cooker all the time. As such, I notice that the rubber seal that goes in the lid of the pan eventually gets old and thus doesn’t seal as well. So, in the interest of truly being prepared, I’ve stocked up on a surplus of those rubber seals so that when my life is reliant on the proper function of my pressure cookers, I’m not left starving. Fuel doesn’t have to be complicated or expensive. Ways to keep your family warm and cook for them are usually one-time purchases that will ensure you’ve got a full life beyond, even in the midst of an emergency. Join us on Facebook Follow us on Twitter here To see our upcoming event schedule, click here Check out our inhome-course programs Subscribe to Preparedness Pro today and never miss a thing! For any questions or comments on this article, please leave a comment on the blog site so that everyone can benefit! Copyright Protected 2009, Preparedness Pro and Kellene. All Rights Reserved. No portion of any content on this site may be duplicated, transferred, copied, or published without written permission from the author. However, you are welcome to provide a link to the content on your site or in your written works. Where can you get bulk isopropyl alcohol in 55gal containers, especially delivered? I'm not sure were you are, but you can usually call around to the local fuel companies in the area to find them. We've got a guy here in Utah County that does it. I'm not quite understanding what you are doing with isopropyl alcohol? Is it for cooking or heating or both? Can you direct me to more info? I use it as a fuel for both cooking and heating, and I use it for medical purposes as well. You can do a google search on bulk isopropyl alcohol. 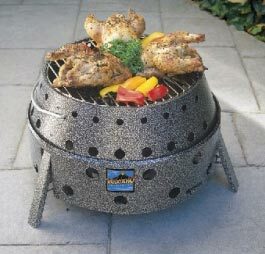 Thanks for the info for the volcano stove been looking at those for a while. I am getting a 2 burner/oven combo that runs on propane. My home is all Electric for heat and lights so I need a backup. A french press coffee maker is great, all you need to do is place the coffee and boiling water in and let it steep for 3 minutes. Trust me it's still hot and makes great coffee. Much better than the old percolators that you have to watch to keep from boiling over. My next mission is cooking beans and rice in a thermos. It's a 6/8 hour job for the thermos. No presoak of pinto beans or rice brown or white, Just your ingredients, boiling water, and time. But you do need a heavy duty thermos for it. I think lentils would do very well with the thermos cooker. You refered to your butane stove as a Joy Cook stove. There are a myriad of these types of butane stoves out there ... is there a difference in quality, or are they all pretty comparable? Do you particularly recommend this brand? I haven't noticed a difference in the quality as of yet. In my classes I refer to them as "little Asian cooking stoves" because they are so common there. Joy Cook is simply the brand that I have. I've seen MANY look alikes though and they feel the same weight and look like they have the same functions. Cooking and heating with alcohol? What type of heater uses alcohol? What type of stove? I'm interested in specifics. Would you be willing to share? Also curious about propane heaters. Are they safe to use inside in the winter? Is it economical? Would you go with kerosene instead if you could only buy one heater?